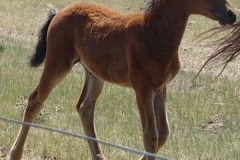 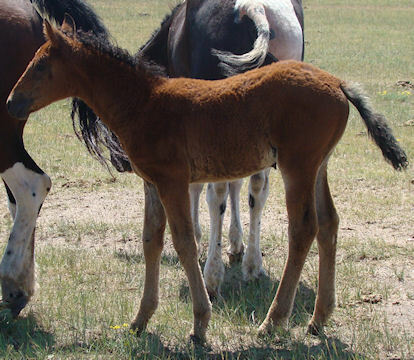 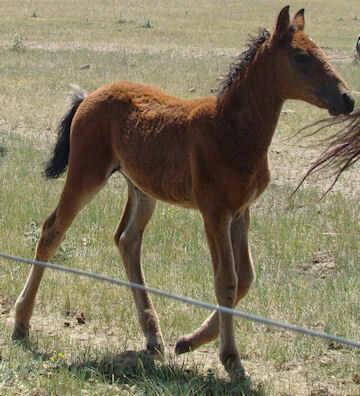 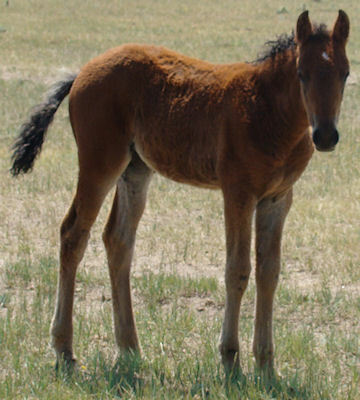 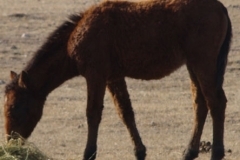 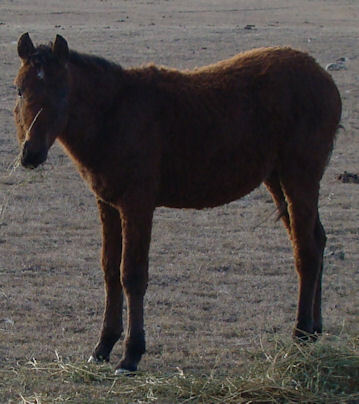 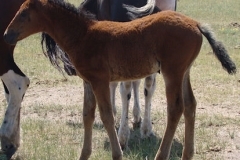 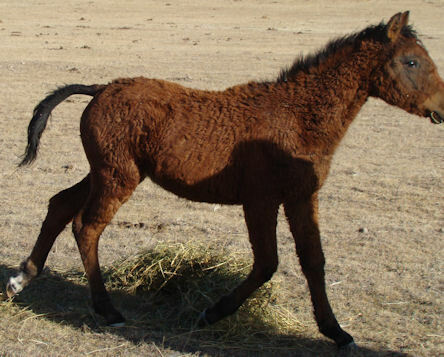 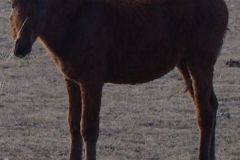 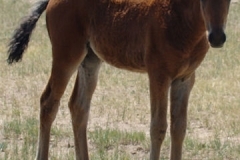 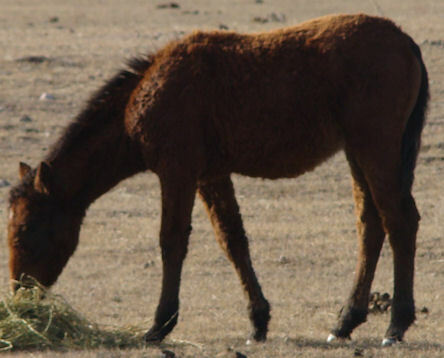 Beldone, a 2013 filly, is out of Trixie, who came to us from WA state. 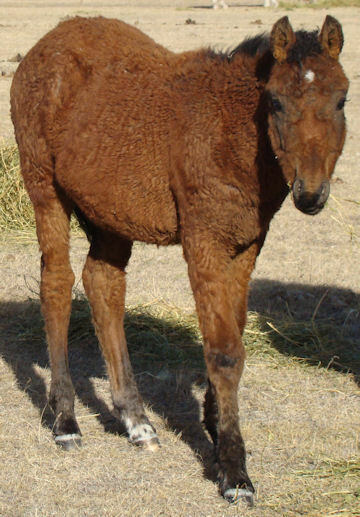 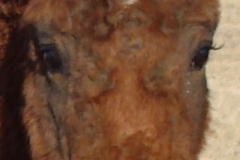 Her sire was an unregistered buckskin Curly stallion, also from WA state, who tragically died of unknown causes his first winter with us. 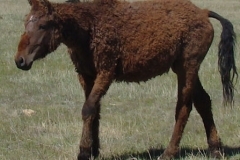 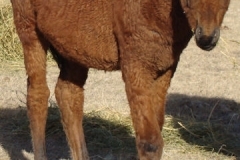 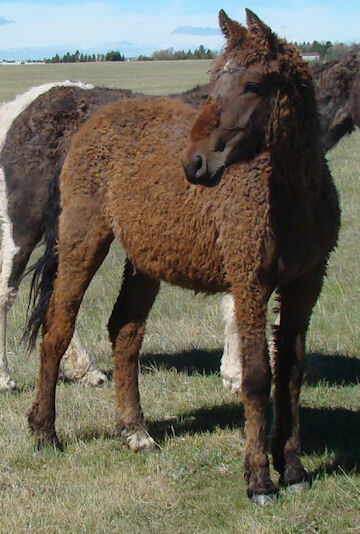 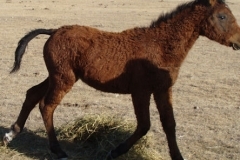 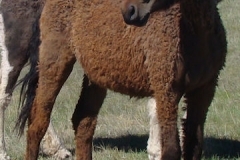 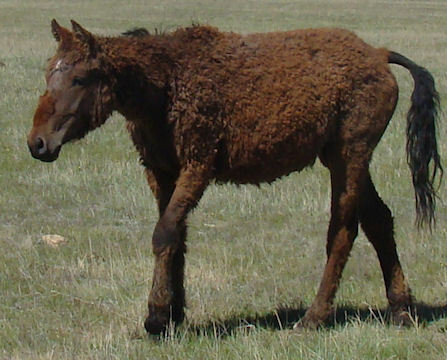 An extreme with the typically homely appearance of same, this filly has the expected Curly willingness and desire to please.